Chuck’s field responsibilities include on-site vibration monitoring, pre-blast, and post-blast inspections in residential and commercial environments, and vibration-related damage claim investigations for blasting contractors, general contractors, explosive companies and insurance companies. He has consulted on a wide range of construction projects, including power plants, utility installation, street and highway construction, site preparation for residential, commercial, and high-rise construction, implosions and demolition, fiber optic cables, petroleum and natural gas transmission lines, churches, schools, police stations, firehouses, county and municipal jails, waste water facilities, hospitals and military installations. Chuck also assists with sound level studies for mining, municipal and non-profit organizations. He has assisted Vibra-Tech’s geophysical department in conducting seismic attenuation studies at aggregate quarries and has served as a field assistant for Vibra-Tech’s structural engineer on projects requiring the establishment of vibration criteria for historical and other sensitive structures. He also serves as a liaison between neighboring homeowners and blasting contractors, addressing homeowners’ questions and concerns. 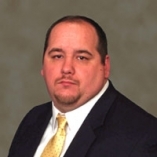 Chuck is currently Area Manager of the Nashville office of Vibra-Tech, Inc. He is responsible for all operations of the office. He manages over 100 cellular and satellite-controlled remote seismic stations at quarry and construction sites in the southeastern U.S. He has served as a vibration consultant for the aggregates and construction industries. He has prepared blast reports, pre-blast and post-blast inspection reports, pile-driving and heavy equipment vibration study reports, crack width study reports, damage claim investigation reports and various other technical reports and documentation.